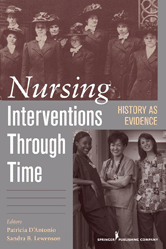 This book, by examining pivotal historical interventions across the spectrum of clinical care, allows nurses of today to incorporate the wisdom of the past into their own daily work. Maternal-child health programs, palliative care, tuberculosis, medications, pediatric care, and diabetes care, and more are discussed.This invaluable resource documents how and why specific nursing interventions came about, what aspects of these interventions are utilized today and why, and how nurses of the past have addressed and solved the challenges of practice, from adapting to new technologies to managing the tension of the nurse-physician relationship. Learn how nurses of the past 150 years have combated the challenges of: Providing care to victims of pandemics, such as yellow fever, tuberculosis, and influenza, adapting to new medical practices and technologies throughout the 20th century, integrating cultural sensitivity into clinical care for special populations and underserved communities, bringing public health services to rural communities, and fighting for public health policies that support hospice services in the United States.